When it comes to your dining table, why settle for basic and bland? Instead, pick up a dining table that is bold and extraordinary � the Elite Dining Table from Zuo Modern. 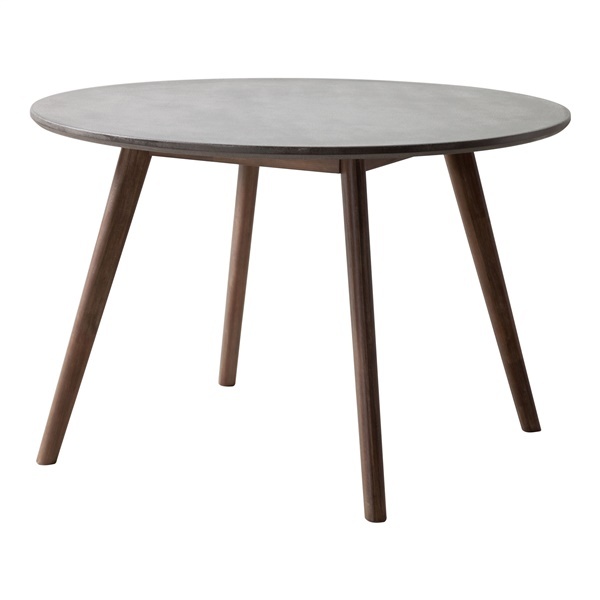 This sleek, sophisticated dining table is designed for both indoor and outdoor use and features a round poly-cement tabletop that is easy to clean and provides plenty of space. Also, the table boasts an acacia wood base that is stylish and durable. Choose a first-rate dining table to help revamp your modern or retro dining room's d�cor � the Elite Dining Table. Acacia wood base offers the perfect mix of style and function. Round poly-cement tabletop is easy to clean and provides plenty of space. Strong, versatile legs deliver amazing support.